Focus on what you can do for the company, instead of what they can do for you. As harsh as it sounds, most employers are interested in how you will help them, not what they will do for your career. Find a way to be unique. Hiring managers get hundreds, sometimes even thousands, of applications for open positions. Try telling a story that highlights one of your best skills. Be specific. Employers don’t want to hear generalizations. Use specific examples of what you’ll bring to their team, including timeframes and results. Use the right words. Include keywords from the job posting. Most employers use scanning software these days to look for keywords, so if you drop them from your letter, you might be overlooked. Read the job posting closely. 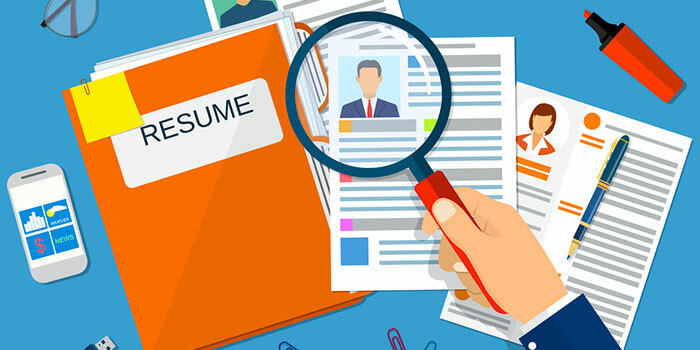 Besides keywords, look at the job posting closely for instructions about who to address the cover letter to, other information to include with your application, and details about the type of person they want to hire. End with “thank you” and how you’ll follow up. Wrap up your letter by saying thanks and mentioning how you’ll follow up. Speaking of that follow-up, go for email instead of a phone call. Busy recruiters and hiring managers prefer email follow-ups and most of the time specifically list “no phone calls” in the job posting. When it comes to your resume, this is your opportunity to provide details about your experience and skills. Present this information in the best way by thinking about these factors. Pick the right format. Make your resume easy to read by having dedicated sections for an executive summary, work experience, education, and other relevant experiences such as volunteering or community positions. If you’re re-entering the workforce after being out for a while, or if you’ve jumped around in different industries, consider a format that is organized by skill instead of chronologically. Choose accomplishments over responsibilities. Just like in your cover letter, the details matter. List measurable accomplishments instead of a description of your responsibilities when possible. And, remember those keywords from the job description! They count in your resume as much as your cover letter. Highlight your education. For leadership roles, education matters more and more to employers. If you have a bachelor’s degree in nursing or higher, be sure to call attention to your credentials on your resume. Keeping these ideas in mind as you update your cover letter and resume will help you show employers why you are the best fit for the job. Good luck!